Exсlusive high-quality designer renovation. 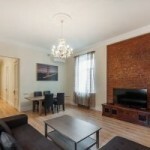 12 minutes walk from Red Square. A great number of nice restaurants around. Residential complex "The City of Capitals". The Moscow International Business Centre (MIBC) “Moscow City”. Moscow City Towers/ Skyscrapers. Buy and sell luxury real estate in Moscow: elite business class apartments, exclusive penthouses, posh residential houses in prestigious compounds, top-class offices in the best Moscow areas! 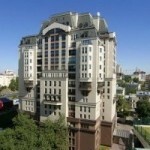 It is well-known that buying luxury real estate in Moscow is a reliable investment. Our responsible experts realize how important it is for our clients to buy for less and sell for more and have a safe Real Estate Sales and Purchase deal at the same time. Our real estate agents provide professional support to foreign and Russian customers in finding and buying the best properties in Moscow: luxury apartments for sale, offices of B, A, and A + class, elite houses. We will assist you in the whole course of searching and buying a luxury residence or an office with maximum compliance with your requirements and in a short period of time. When selling your elite premises, you will get our advice on the market situation and the right cost for your property in order to sell it in the planned period of time and with the maximum benefit. The cost and detailed description of our Real Estate Buy and Sell service can be found HERE. With us, you will be able to get offers of exclusive and unique real estate properties of Moscow: such as stand-alone historical mansions, residences, commercial real estate object, and other exclusives which are not listed in open databases. We'll make sure you miss nothing! There are no limits to what we can find for you! 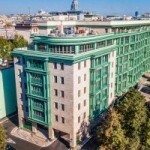 The best apartments for sale in all prestigious modern buildings of Moscow with highly-developed infrastructure and the corresponding community. All the flats to buy in historical mansions and other building types in the most attractive areas of Moscow: Patriarchy Ponds, Chystye Prudy, Arbat and Kropotkinskaya, Tverskaya, Ostozhenka, Krasnaya Presnya, Zamoskvorechiea, and Prechistenka areas. All the residential properties for sale in Moscow City International Business Center. 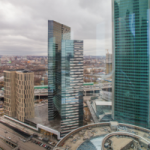 All offices for sale in Moscow City International Business Center - the center of the most successful people and businesses in Moscow. Buying an office or apartment in Moscow City International Business Center is one of the best and reliable investments. All offices in all the business centers of Moscow and stand-alone buildings. 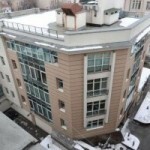 How do you estimate the cost of the luxury property in Moscow? The evaluation of the cost of properties is based on the analysis of similar properties in the same area, viewing of the property and analysis of its documents. The price for the property is recommended also taking into account the client's timing requirements (how fast they want to sell). 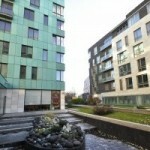 What premises to choose when buying luxury real estate for further lease? The demand for premises rental in the selected area of Moscow. The cost of rent for similar premises in the selected area. Payback of the object within 15 years. Return on property in case of resale. Our specialists will help you choose the right property based on all the important aspects.